Which are the fastest growing religions in Europe and the world? Since the 19th century, the religious demographics throughout the world has changed dramatically. Countries with historically largest Christian population are experiencing decline in number of people following this religion whereas a large population of Africa, with very high birth rates, has converted to Christianity, resulting in overall increase in number of Christians. Islam is still growing at a tremendous pace to become the most dominant religion and even surpass Christianity in terms of absolute number of followers. 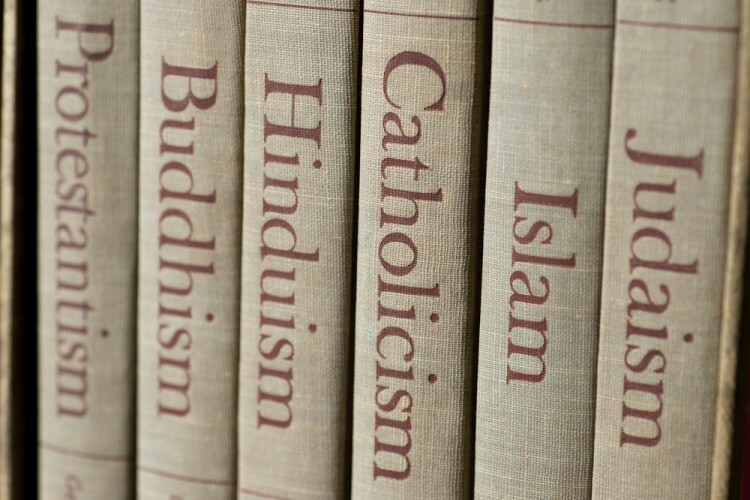 Very few popular religions like Buddhism are experiencing an overall decline in followers. Christianity has been reigning as the largest religion in the religious landscape of the world because of early adoption and popularity in Western and European countries. If reports and surveys are to believed, world’s second most largest religion, Islam, will have most number of followers by the end of this century. Between 2010 and 2050, Christian population is expected to lose about 60 million people to agnosticism and atheism. Religious demographics of the world is rapidly changing owing to some major factors like high fertility rates (particularly for some specific religions like Islam), conversion rate, and increasing atheism. As of 2010, Christianity was the largest religion, with approximately 2.2 billion adherents, forming almost 31% of total world population. Christianity will not be able to keep up with the pace of Islam because of two major factors: average fertility rate for Islamic population is above world average and the second factor is growing atheism among the masses in European and Western countries that have the largest Christian population. According to reports, 2.4% of Americans in 2012 were Atheists and atheism was growing at a rate of 0.8% from 2007 to 2012. This growth of atheism in North America is significantly contributing to the decline in growth of Christianity (By the way, you might be interested in reading our article about the 10 most religious cities in America). Islam will experience most growth, in terms of absolute number of followers, over next few decades. The Pew Research report clearly indicates that the steep rise in Muslim population throughout the world is dominated by two factors: relatively higher share of younger population (more than 1 Muslim in 3 is under the age of 15) and high fertility rates. Muslims have the highest fertility rates averaging about 3.1 children per woman that is much higher than replacement level of 2.1. 10 Countries with Most Islands In the World 10 most religious cities in America 11 countries with the highest Hindu population 11 countries with the highest Mormon population. agnosticism atheism Christian population Christianity Hinduism islam Judaism Major Religions of the World Mormon Church Muslim population in the world The Church of Jesus Christ of Latter-day Saints (Mormon Church) What is the largest religion in the world? What is the most dominant religion in the world? what is the most practiced religion in the world? Which are the fastest growing religions in Europe and the world? Which religion has the most followers?